Are you Searching for Gujarat High Court Syllabus 2019 Pdf? If yes, it is the right place. The Gujarat High Court Department is going to conduct written examination for 124 Civil Judge Posts. 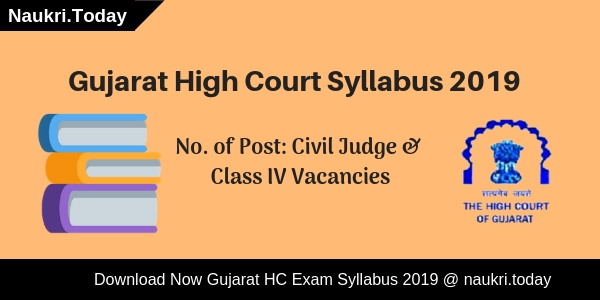 Candidates who are participating in the examination may download Gujarat HC Civil Judge Syllabus 2019 form here. The Written Examination will take place in two parts such as preliminary or Mains. The Preliminary examination will be held on 05.05.2019. Applicants who qualify in pre exam will take part in the Mains Examination. A Mains Examination will be organizing tentatively on 07.07.2019. Brief Information of Gujarat High Court Syllabus 2018-19 – What is the Exam Date of Gujarat HC Class IV Exam? High Court of Gujarat will conduct Written Examination & Interview for recruiting candidates on Civil Judge Vacancy. First of all eligible candidates will be called for Preliminary examination. Pre-exam will be objective type of Multiple Choice Question (MCQ). Exam will contain 100 Marks & There will be negative marking in Pre exam. For every wrong answer, 0.33 Marks will be deducted. Candidates should get 50% Marks for qualifying the Preliminary Examination. Selected candidates after Pre Exam will be called of Main Examination which will contain total 200 Marks. Finally, shortlisted candidates will be called for Personal Interview Round. Selection of the candidates will be made on the basis of Merit List. For more details about Exam Date, & Exam Syllabus you can check from here. keep Visit this page for future update related to Gujarat High Court Syllabus 2019. The Indian Contract Act, 1872. Conclusion : High Court of Gujarat has released recruitment notification for filling up 124 Vacancy of Civil Judge. The candidate who is preparing for examination can check Exam Pattern & topic wise details of Gujarat High Court Syllabus. Download link of PDF of Exam Syllabus 2019 is mentioned here. Have you filled Gujarat High Court Group IV Application Form??? If yes, then you are also searching Gujarat High Court Syllabus 2018-19. High Court of Gujarat is going to conduct written examination for filling up 1149 Group IV vacancies. The examination will organize on 17th February 2019. Candidates those are eligible to participate in the examination should download Gujarat HC Syllabus 2018-19. It will help you to get a better score in the examination. Here our team provides you topic wise and subject wise Gujarat High Court Exam Syllabus 2018-19. Read the full article properly for more information. Gujarat High Court Examination for 1149 Class IV post will be held on 17.02.2019. Applicants those have successfully filled the online form can download Gujarat High Court Class IV Syllabus 2018-19. Here you can get exact information regarding the exam syllabus & pattern. You can get topic wise & subject wise Gujarat HC Exam Syllabus 2018 –19. Furthermore, the information you can collect from below paragraphs. High Court of Gujarat has published an advertisement for employment of 1149 Class Iv posts. The online application form of Gujarat HC Jobs 2018 is available from 01.11.2018. 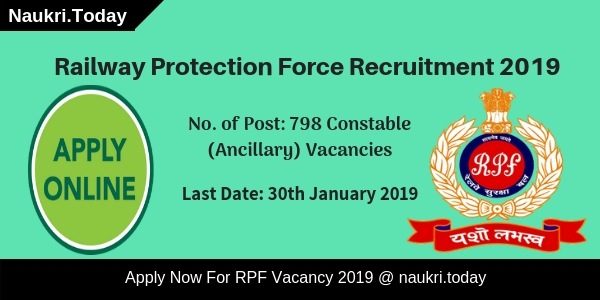 Applicants can submit their application form till the last date 30.11.2018. The examination of class Iv will conduct on 17th February 2019. Candidates those are going to participate in the examination must download Gujarat High Court Syllabus 2018-19 from here. In below section, you can fill all related topics & subject of Gujarat High Court Exam Syllabus 2018-19. Applicants selection will made on the basis of written examination. Those candidates have applied successfully for class IV jobs will call for written examination. Written test will organize on 17.02.2019. Then qualified candidates will call for document verification round. Check full examination details mention as follows. 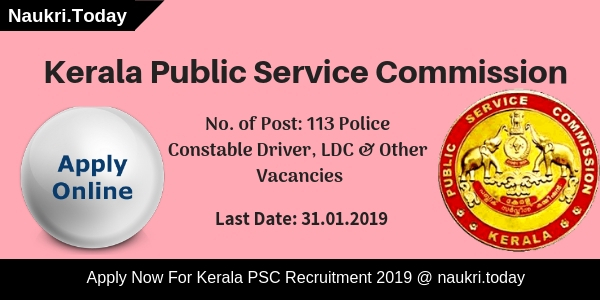 The department will conduct the written examination for candidates those have enrolled successfully for class IV jobs. In this, 100 objective type multiple choice questions will ask for candidates which carry equal marks. Duration of examination will be 90 minutes. Subjects are Gujarati Language, General Knowledge, Mathematics & Current Affaires. You can also check Gujarat High Court Syllabus 2018-19 from below segment. Applicants those are going to participate in the examination must collect Gujarat High Court Exam Syllabus 2018-19. Through it, you can prepare for examination and then getting a better score. In below section, you get topic wise & subject wise full Gujarat HC Syllabus 2018-19. The direct link to download Gujarat High Court Group IV Syllabus in PDF. Applicants who took part in the written examination must download Gujarat High Court Exam Syllabus 2018-19. Through this, you can score better marks in the examination. Here in below section, we mention some steps to download Gujarat HC Syllabus 2018-19 in PDF. Click on the link download Gujarat High Court Class IV Syllabus 2018-19. And your Gujarat HC Exam Syllabus PDF appears on your screen. You can directly download it to click on below link. Conclusion: Gujarat High Court is going to conduct written examination for 1149 Class vacancies. Applicants those are going to attend the examination must download Gujarat High Court Syllabus 2018-19 from here. The examination will be going to held on 17.02.2018.